THE SCOTLAND result was one that brought out relief. The kind of relief that has spectators and coaches strapped to oxygen tanks, so taxing was the enormous sigh everyone let go. However, as everyone was asked immediately after the game about the “monkey off the back” and then, the day after, everyone began talking about “papering over the cracks,” it became apparent that a little more finesse is needed when analyzing Scotland’s win. Once the result was confirmed, Scott Johnson and Greig Laidlaw seemed somewhat bullish, post-match. A prepared statement sought to go beyond the press and thank the fans for their support. The impression this created was that in Scotland’s camp there is a sense of ‘it’s us versus the world, boys; some people are out to harass us.’ If this is the case, fine. As long as it leads to wins then they can have this attitude. 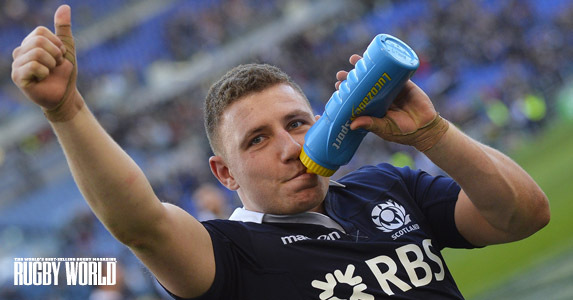 After all, you then get moments where Duncan Weir – who had not taken a match to the heather so far in this tournament – swung a boot so well in the dying moments of the game in Rome, he did something magnificent. And brave. Fair play to him and his team: if there are people out to get them, they landed one blow in retaliation. Now they need more. 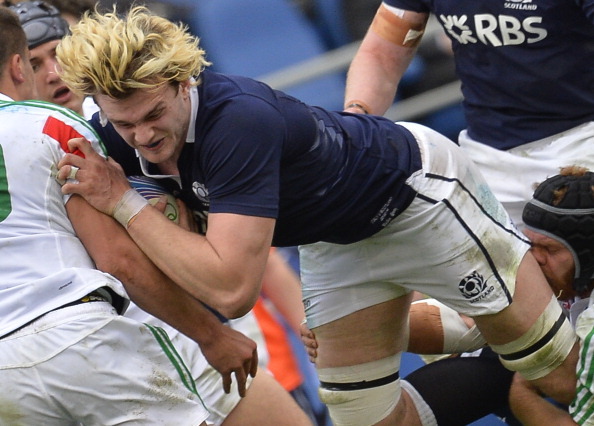 Scotland took their biggest ever comeback win, bounding back from a ten-point deficit, and have now beaten Italy in their last three meetings in three different countries (Scotland in 2013, South Africa in 2013, Italy in 2014). To score tries based on momentum, while Scotland scored from one brilliant break and a one big Italian mistake you would be forgiven for thinking that Italy should win at home. Scotland did just enough though. They spooked Italy. They clawed their way through. We’re used to seeing Stuart Hogg and Sean Lamont backing themselves and having a go from the back, when returning kicks. 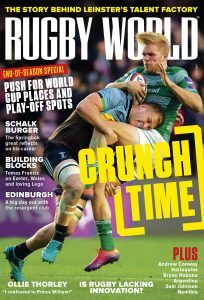 But how good is it to see a front-line midfielder like Alex Dunbar taking one on the chin and having a dig himself? It paid off. With Matt Scott edging closer to full fitness and Dunbar confident there is a chance they may be able to play with more verve in round four, which is all anyone ever wants to see. A competitive Scotland. The day after the game Scotland’s engine room – Richie Gray and Jim Hamilton – were off back to France so they can play in the Top 14 this weekend. If Beattie is away too, three men who came out of the Italy Test with credit in the pack are running a physical gauntlet. Sure they face France who have injuries of their own and with some men playing in the tournament themselves, but they are used to it and have a lot more depth to pick from. This may be a nervous weekend for Johnson. Josh Furno swept to a try at a crucial point of the game. After Italy pressured Scotland when the visitors should have been looking after ball and using it cleanly. It was at a point in the game when Scotland sorted their discipline in their own ‘red zone’ but were slightly passive in the tackle, some players worrying too much about not conceding a penalty and opting to have good defensive spacing rather than tearing out of the line. Why can’t Scotland have both after the clock ticks past 70? This is a sharp contrast to the first half where Scotland gave away ten penalties. Granted many of those were in a scrum where Moray Low was pinged off the park (although at least once this was harsh, as Alberto De Marchi pulled him down by the shirt). He will be replaced by Geoff Cross. There should be something said about Scotland’s Daim Bar defence, though – one minute it’s too soft, the other minute it’s too hard, on both occasions it’s brittle.